This is a shot most likely taken in the Firth of Forth. The battlecruiser in the centre is a Lion Class which I think is HMS Lion herself since there is a small chimney next to the aft mast which I have only seen on pictures of Lion and not the Princess Royal (in 1918 they were the only surviving Lions). 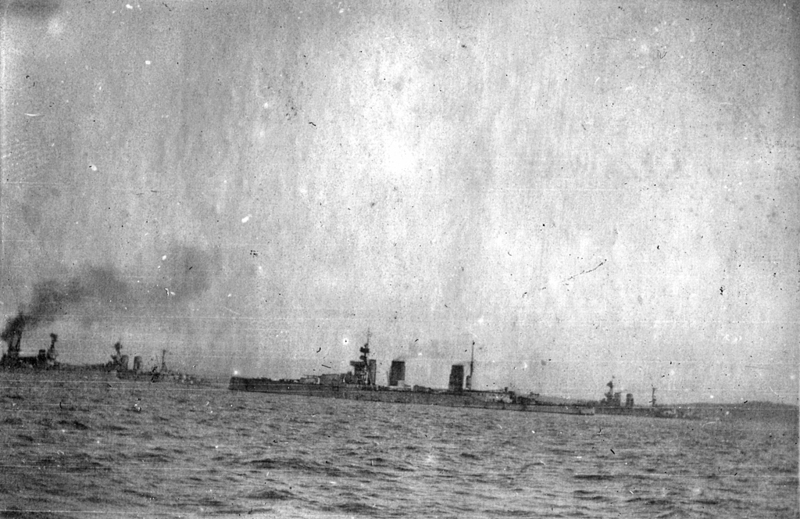 In early 1918 they were both based at Rosyth with HMS Furious and I'm assuming, but don't know, that this picture was taken from Furious. 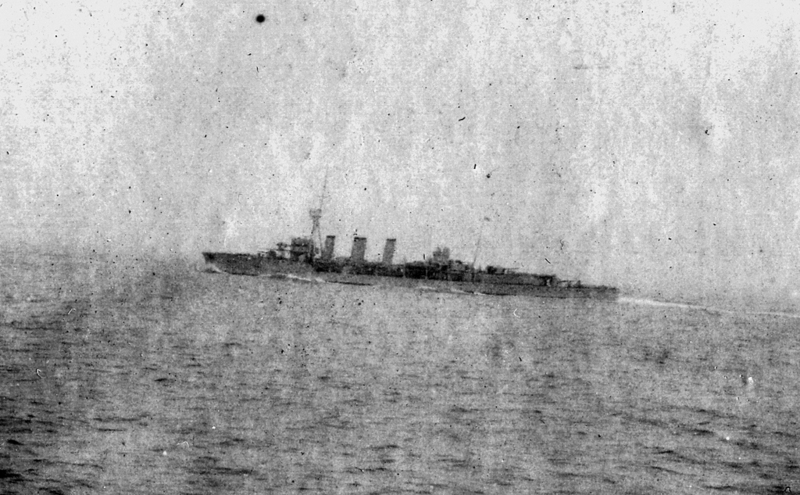 A second picture of a British cruiser at sea, this looks to be one of the Arethusa Class light cruisers many of which had aircraft on ramps above their forward gun turret as this one seems to have. Several of this class sailed in support of the Tondern Raid although this picture was not taken during that operation. This is an Avro 504J with Flight Lieutenant Wimbush and Flight Sub-Lieutenant Ashton. 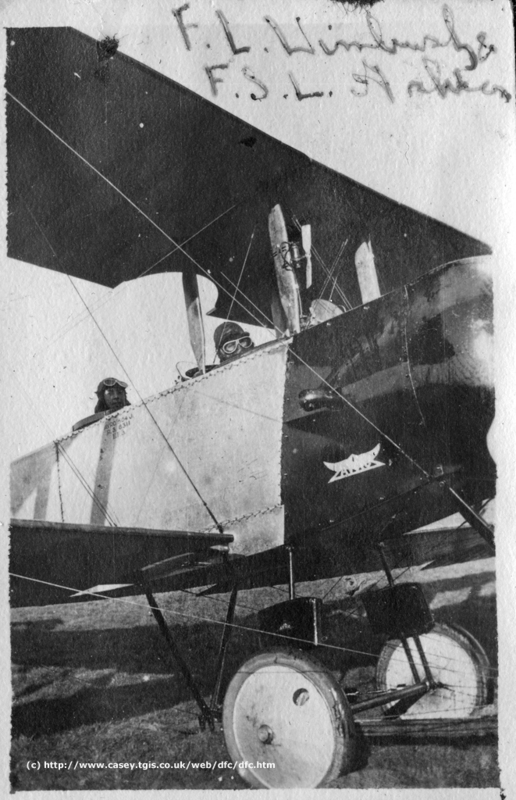 I have traced a FL LEB Wimbush who was working as a flying instructor in early 1918 when this was taken. He was doing this after having been injured over France the previous year. Having been taken in approximately February 1918 it's unfortunate that Wimbush was sadly killed just a month later. One report suggests he was performing aerobatics in a Sopwith Triplane, ripped the wings off, crashed and died the following day from his injuries. He was only 19. Another unfortunate incident in a Sopwith Camel. This is not the same crash shown elsewhere on this site since it does have both wheels attached. 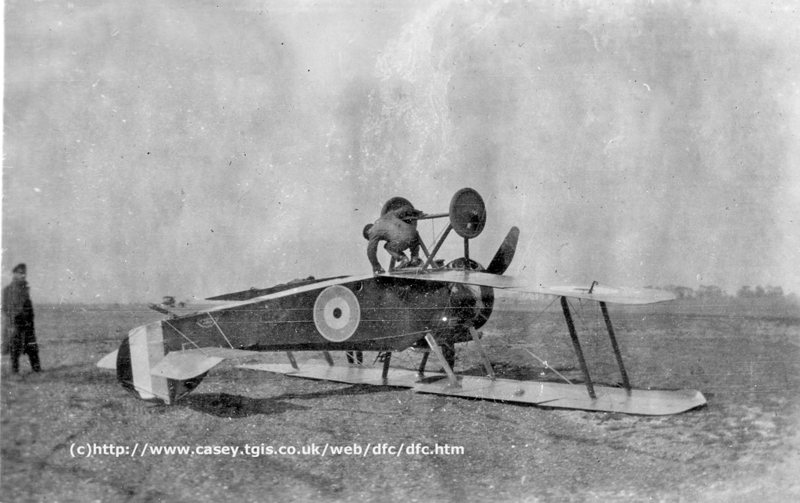 Camels were rather notorious for being difficult to fly due to the huge torque from the engine plus having a concentrated centre of gravity in front of the pilot. Almost as many pilots were killed in non-combat situations as those killed in combat (385 v. 413) so accidents such as this were not a rarity.